Blueberry Cherry Crisp – the dessert you should make right now! 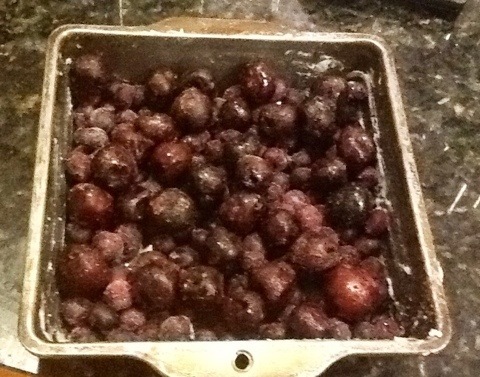 Dump blueberries and cherries (no need to thaw) into a greased 8×8 pan. I’m sure other fruit like blackberries, raspberries or peaches would work as well. Just use what you like or what you have on hand. 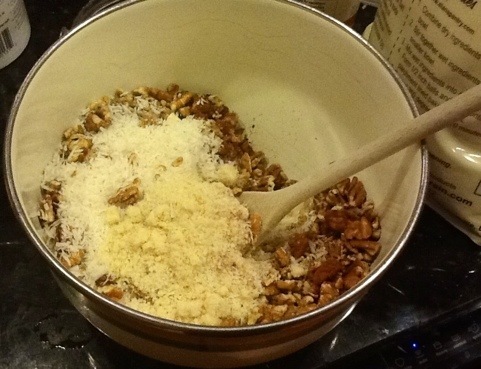 Mix the dry ingredients together, then add the liquid ingredients. Now for the most challenging part of this recipe: spoon the topping over the fruit without eating all of the topping raw first. I was very tempted just to eat all the topping and then whip up another batch, but I was running low on pecans and maple syrup, so I restrained myself. I divided this into 9 servings. Tom was initially concerned about the calorie count, but after he tasted a bite he decided that he didn’t care. If you are counting calories, 1 serving is about 350 calories that are completely worth it. Ok, now seriously, stop surfing the net and get baking! What if the zombie apocalypse happens tonight and you never get a chance to eat this because of your newly acquired taste for brains? 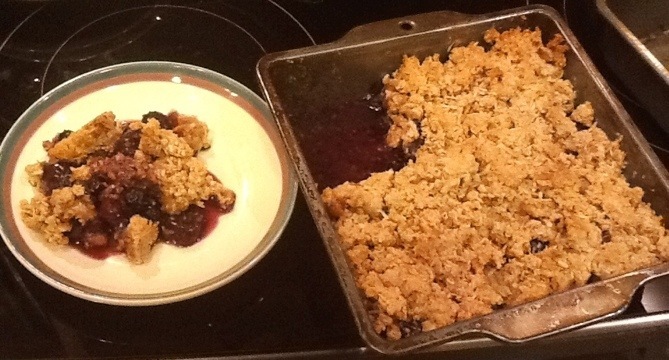 3 Responses to Blueberry Cherry Crisp – the dessert you should make right now! Looks so yummy, fruit desserts are so satisfying and I love the idea of the equal amount of cherries. Leon’s butter pecan would be oh so good with it! Just took the calories to 600, ugh! Will have to try this one. Also will look for almond meal at Lee Lee’s; the enormous grocery store that had everything. It was very fast to make. I ordered blanched almond flour online, which is better for baking cookies and breads. For this recipe a coarser meal would work as well. 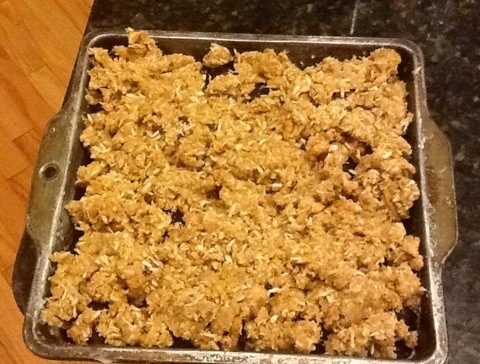 You could even grind up almonds in the food processor.